inPhoto ID PS and inPhoto Capture PS have been updated to version 4.18.1, and now support Canon PowerShot ELPH 185 / IXUS 185 camera! 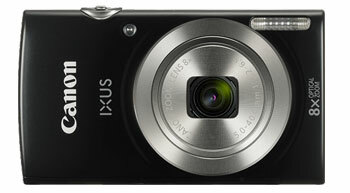 Canon ELPH 185 / IXUS 185 has 20 million effective pixels, 8x zoom lens. The camera was released in February 2017. Its price is around 180 USD.